Written by Kristi Reindl. Media by Jeff Schaeffer. Twenty-year-old Marisa Thomason has a passion for serving others, and as she is continuing her education at Greenville College, she’s finding exactly where God is asking her to direct that passion. Raised in Brownstown, IL, Thomason settled on Greenville College primarily to remain close to her family, but she also appreciated the Christian community the campus provides. With those two factors in mind, her choice to attend Greenville College (only thirty minutes from home) was easy. She originally entered as an Elementary Education major, but in the last few months her future goals have begun to change. Now a sophomore, Thomason finds herself being drawn to mission work instead. Her desire to help others on a deeper, personal level has become clearer to her and she specifically feels led to work with human trafficking victims. This calling prompted her to leave the education department and directed her to social work. “Over Christmas break, my heart grew soft toward those who are in slavery,” Thomason explains. “I want to work with victims of human trafficking and help free them from their situations.” As such, she became inspired to join the Set Free Movement on the college campus. 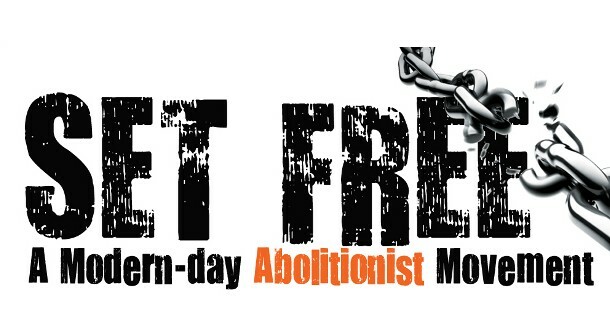 The Set Free Movement works to end modern-day slavery and bring healing to those held captive. These leaders live to proclaim the good news and are committed to providing freedom, not just physically but emotionally and spiritually as well. Though Set Free is worldwide, the organization was only introduced to Greenville College at the beginning of this year. Thomason quickly became involved and by the beginning of February, she took on the leadership role. As president, she strives to draw college students into the organization, bring an awareness that slavery still exists, and to encourage the community to become involved in any way possible. She is driven to offer human trafficking victims the things we take for granted every day: the freedom to worship God, read the Bible, immerse in fellowship, and to have the privilege of simply walking outside on their own. “My motivation comes from the thought of the outcomes – people being freed,” says Thomason. She is determined to do what it will take to make this happen.